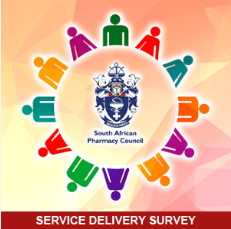 The South African Pharmacy Council is committed to providing a quality service delivery experience to you and we rely on your feedback to know how we are doing. Please take a few minutes and rate us based on your most recent interaction with Council. Click here to access the survey. A highlight of the conference will be the 2019 National Pharmacy Pioneer Awards in honour of those pharmacists and pharmacies who have delivered exceptional service and made a difference in their communities. More information to follow shortly. The search is on for South Africa’s 2019 pioneer pharmacy professional and pharmacy facility. 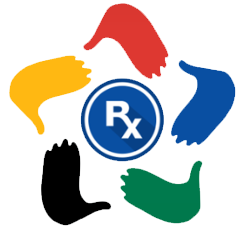 The illustrious pharmacy awards honour the profession’s deserving men, women and facilities that raise the bar in good pharmacy practice and the level of care they provide to their communities.. This hard work and dedication deserves recognition. 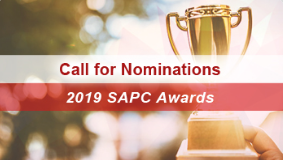 South Africa’s ‘Pioneer Pharmacy Professional’ and ‘Pioneer Pharmacy Facility’ will be announced at the 2019 SAPC National Pioneer Pharmacy Awards to be held on 5 October 2019 at Sun City. The complete nomination submission must reach the SAPC by Friday, 24 May 2019 @ 16h00. Follow the link to download the nomination forms and the criteria for the awards While you’re downloading your nomination form, take the opportunity to register for the 3rd National Pharmacy Conference 2019 – you won’t regret it!